Royal Holdings Technologies combined mobile platforms with IoT and AI into a single product called SWORD, to identify, manage and mitigate immediate threats. SWORD features an integrated, infrared-object-detection HD camera and proprietary algorithms paired with the company’s facial recognition software, and all placed in what appears to be a regular case for an iPhone or iPad. By Barry Oberholzer, CEO of Royal Holdings, Inc. The concept of asymmetric warfare — a weaker force adopting tactics and strategies that place the stronger force at a disadvantage — is nothing new. 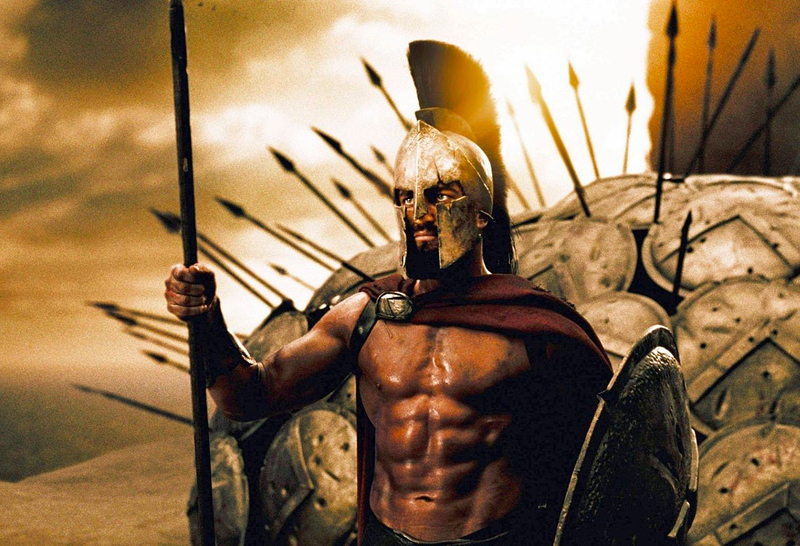 The famous Battle of Thermopylae in 480 B.C., depicted in the hit movie, “300”, saw the Spartan-led forces use terrain to help defend against the numerically superior Persian army. Centuries before that, the 22nd century B.C. Akkadian empire collapsed in part because of raiders known as the Gutians, who would attack soft targets like farms and trade routes before vanishing back among the populace. Then, there is the biblical tale of David, the small shepherd armed only with a sling and a stone, facing off against the massive, heavily armored and weaponed Goliath. And, we all know how that story ends. Ironically, the United States — which was once David in its war for independence against the Goliath of Britain — today finds itself in the role of the stronger side trying to defend itself from the weaker forces of radical Islamic terrorist groups. And, it’s not the only nation so bedeviled. Other Western countries such as the United Kingdom, France, Australia, Germany and Sweden are finding themselves in the same unenviable position. The methods haven’t changed much since ancient times. The enemy is able to blend in with the population, allowing it to attack from hiding and then disappear. It uses unconventional weapons in short operations, forcing a massive, slow-moving apparatus of military, transportation, police and other agencies to try to quickly adapt. And, it’s using the “terrain” of an open, free society as a weapon, to attack our soft targets of public sidewalks and streets; schools and office buildings; music arenas, nightclubs and concert halls; trains, buses and subways; and of course, commercial airplanes. Likewise, the goals are the same. While there was once a period when terrorism was seen as violent political theater, in that the goal was to attract attention to a cause in order to effect change (the PLO attack at the Munich Olympics in 1972 is a clear example), today it has reverted back to form and needs to be seen in the light of incursions with the final aim of destroying the enemy. The one key difference between then and now is that the asymmetric opponent has, for lack of a better term, diffused. Before, guerrilla fighters or terrorist operatives belonged to an organization. Even if it was hidden within a city or another country, there was a command structure which could be targeted. Cells could be discovered, infiltrated and disrupted. Meetings could be raided or be subject to drone attacks. Communications could be tapped, intercepted or cut off. The lone wolf threat has changed all of that. Now, there is no command structure, no cells, just single actors who become “radicalized online”, as the saying goes. Meetings have been replaced with blog posts or videos consumed by hundreds or more. There is rarely any communication, just the declaration during the attack. And the weapons may be as innocuous as a kitchen knife or rental van. Meanwhile, our responses have remained typical of the quote-unquote “stronger” force shortly before it’s beaten or overthrown. We turn and point to the ponderous leviathan at the last successful tactic. Someone turns a jet liner into a massive missile using a box cutter so we install bulky, expensive X-ray machines to look for pocket knives and nail files. But then someone else tries to smuggle and ignite a bomb hidden in his shoe so now all footwear must be X-rayed. Someone else tries to bring aboard dangerous chemicals so shampoo and toothpaste must be Lilliputian in size. And each of those machines requires a minimum of three people each to operate: one for compliance, a second to watch the monitor and at least one more in case contraband is found. Then there is the other asymmetric, lone wolf threat: the mass shooter. Large metal detectors and armed guards used to be associated with poor inner-city schools plagued by violence. Now, they’re almost a status symbol of a suburban school with a big budget. Open-air festivals now not only have to be concerned with checking the tote bags and purses of every attendee, not to mention waving a metal detector wand over everyone, they need to be aware of any nearby buildings more than a couple of stories tall. Hotels and resorts are wrestling with whether they need to start inspecting and X-raying luggage while patting down guests at the registration desk. The answer to an asymmetric, and possibly lone wolf enemy, isn’t to have a symmetric, anchored defense system which requires a fully staffed team to simply operate. The answer to an asymmetric enemy is an asymmetric defense — one that is mobile, rapidly deployable and multilayered. The enemy is unobtrusive and mobile. The protection needs to be unobtrusive and mobile, as well, and not a massive X-ray machine plugged into a wall or a CCTV camera bolted to a ceiling. And just as the threat doesn’t wear a uniform, the security solution should be something that can blend into the crowd and be unnoticeable. One answer which fits all of the above demands is being developed by Royal Holdings Technologies Corp., which has combined mobile platforms with the Internet of Things (IoT) and artificial intelligence (AI) into a single product called SWORD, able to identify, manage and mitigate immediate threats. SWORD features an integrated, infrared-object-detection HD camera and proprietary algorithms paired with the company’s facial recognition software, and all placed in what appears to be a regular case for an iPhone or iPad. There is no “pause and pose” requirement — scanning takes less than 1.5 seconds — and clothing doesn’t need to be removed. To the casual observer, they’re simply taking photos or using video chat but what they’re really doing is instantly detecting concealed objects as well as persons of interest, thanks to a connection to a fully customizable cloud database. SWORD doesn’t need to be plugged in and has a battery life of up to 8 hours on the iPhone 8 or iPad Pro. Additionally, if desired or as needed, the devices can also be mounted on tripods to create random screening points. The detection platform, named KnightScan, and recognition platform, ShieldScan, can work together or independently, depending on the operator’s choice, and are presented via a user-friendly mobile app interface. It alerts the operator immediately with an image overlay if an object is detected or person of interest is identified. KnightScan detects both metallic and non-metallic threats that have been concealed on an individual, including a wide range of weapons, explosive devices, tactical surveillance counter-measures (TCSM) and even 3D-printed weapons. AI machine learning allows the system to add new faces and threats in near real-time to ensure defense intelligence is always up to date. SWORD is fully customizable to meet a broad range of scenarios and environmental variables. A formal launch event for the SWORD is scheduled for Los Angeles in late January 2019, and such is the interest in this breakthrough technology that more than 22,000 pre-orders have already been placed from a variety of Fortune 500 companies, school districts, international airports, law enforcement agencies and other industry and sector leaders. SWORD has also already been nominated in six categories in the 2018 ‘ASTORS’ Homeland Security Awards Program being held at the International Security Conference and Exposition (ISC East) in November in New York City. Resellers have been appointed in the United States, and Royal Holdings is reporting a strong demand for SWORD from international resellers, as well. While history shows that the larger, stronger force has always been vulnerable to the smaller but more covert and mobile opponent, we’ve at last reached a point where the technology exists to rewrite warfare and provide Goliath with the fast, effective weaponry needed to stop threats in their tracks. Barry Oberholzer, Founder and CEO, Royal Holdings, Inc.
Barry Oberholzer, serves as the founder and CEO of Royal Holdings, Inc., where technology is being used to unite the forces of good by providing a wide array of products to inform, support and protect companies and individuals on a global scale. As an ‘ASTORS’ competitor, the SWORD 3D Mobile Distance Scanning Device is competing against the industry’s leading providers of Innovative Event Management, Weapon Detection and Threat Intelligence Handheld Mobile Solutions. Good Luck to Royal Holdings Technologies on becoming a Winner in the 2018 ‘ASTORS’ Homeland Security Awards Program. For more information about Royal Holdings Technologies or SWORD, please visit https://www.royalholdings.org.